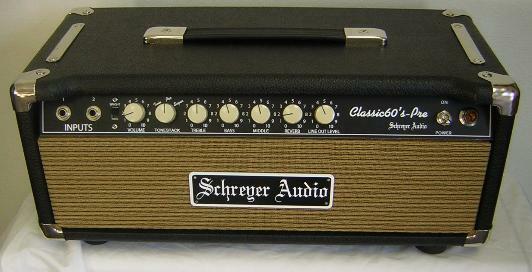 Schreyer Audio offers high quality, hand crafted Musical Instrument amplifiers. about. Or click the products button above for a quick reference description of each. Always refresh your browser on each page to get the latest updates. The "Classic45-Pre", and the "Classic60's-Pre".